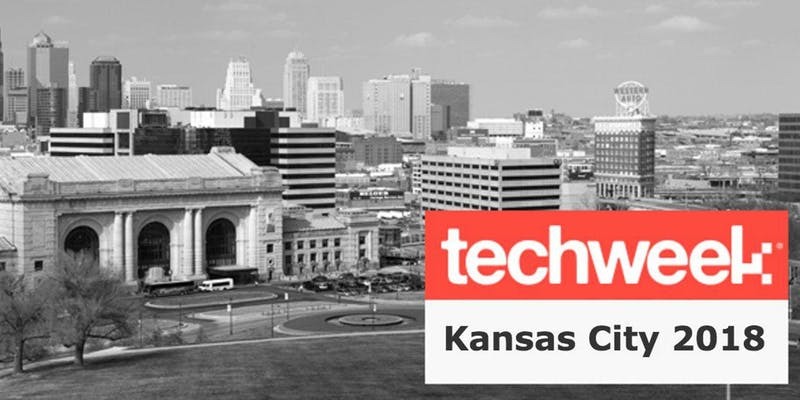 Think Big is excited to be partnering with Techweek KC because it is the perfect platform for hosting our Smart City Citizen Innovation Workshop. Event attendees that go to Techweek are a mix of all of the right audiences. Beyond Techweek KC attendees, Think Big is looking to include citizens with all types of backgrounds to participate in the conversation. This workshop will allow citizens to express their greatest challenges and think of new ways that the city might help face those challenges through smart city-centric design thinking exercises. The citizen ticket is free and grants access to only the citizen portion of the Smart City Innovation Workshop on Monday, October 8 from 12-4pm. Entrepreneurs/innovators, city officials from KC and beyond, and enterprise companies are all invited to join the citizens for a well-rounded ideation conversation. KANSAS CITY, MO — August 16th, 2018 — Techweek, a media and events company focused on technology-driven community events and Think Big Partners, a Kansas City-based smart city technology and innovation-focused firm have announced the dates for a Smart City Innovation Workshop that will be held on October 8, 2018, at Union Station during Techweek. This event will bring together citizens, regional entrepreneurs, innovators, technology and infrastructure companies and city officials during a Smart City Innovation Workshop that will identify citizen’s needs, design prototype solutions through design thinking driven ideation processes and create partnering relationships that can lead to pilots, commercialization relationships and deliver improved services to the citizens of Kansas City. All participants will gain deeper insight into the needs of the citizens during the citizen engagement workshop, providing a better roadmap to design technology-driven solutions to address the problems that people face in their daily lives related to urbanization, digital inclusion and other challenges. Techweek and Think Big Partners will work together to host this event at Union Station on the first day of Techweek. “Think Big Partners is a national leader in the effort to build Smart Cities, and Techweek is excited to be working with them again for Techweek KC 2018,” said Amanda Signorelli, CEO of Techweek. Techweek helps bring local startups and ecosystems to the world through stories, conversations and events. Techweek is a media and events company created in 2011 as a means to connect Chicago’s technology startup scene. Think Big Partners advises the world’s most progressive-minded cities, companies and entrepreneurs. Think Big helps build Smart Cities, design smart technologies and helps entrepreneurs and innovators create solutions to some of the world’s toughest challenges. Think Big provides unique economic development and technology insights to cities and companies that incorporate human-centered design principles by engaging citizens and key stakeholders in innovation-driven workshops. Book your Citizen Contributor, Smart City Entrepreneur/Innovator and Smart City Corporate Partner tickets now. Very limited seating available.